Xiaomi announced its next potential blockbuster, the Redmi Note 3, to a great fanfare last week, and at the time we posted the first camera samples from the device. These, however, were supplied by Xiaomi itself, and such official samples often present the best-case scenario, with ample lighting and deliberately chosen beautiful scenes. How about the real-life camera performance, though? Well, a few impromptu sample shots from the Redmi Note 3 have popped up, and there the handset is taken to more extreme challenges, like night and low-light snaps, high dynamic range situations, and so on. The Note 3's camera is a 13 MP Samsung-made unit with speedy phase-detection autofocus, and a standard for the category f/2.2 aperture. We won't comment on the quality of the shots, as we don't know if they are taken with a retail product, or if the software on that particular unit is final, so we are just posting them below for your early preview pleasure, and will analyze the camera quality when we get a retail piece. In the meantime, another interesting event around the Redmi Note 3 is the teardown of its chassis that has popped up. 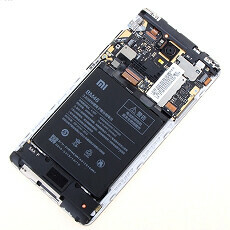 As you can easily expect, the sealed metal phone seems harder to open than the Redmi Note 2, which has a removable back cover and a swappable battery, though it doesn't look that bad, at least if you are working in a repair shop. Xiaomi was kind enough to house a generous 4000 mAh juicer in a relatively thin for this battery capacity 0.34" (8.65mm) body, so you don't really need to open it for any reason but unavoidable repairs anyway. Check out the Redmi Note 3 camera samples and teardown pics in the slideshow below, and tell us if you have already ordered yours. i think it has an average quality of the photos. why blockbaster? is it the battery capacity? Light is good but lots of noise in night shots. Someone please tell me from where to order one in China? I have a friend of mine who can bring it for me from there. China Mobile would be my first guess. The shutter wasn't fast enough to even catch the motorcycle rider without blurring it. FAIL!!!! That shot also had quite a bit of noise/fuzz in it. Unless the photo was degrade from the cropping. You can't downgrade a photo by cropping! Maybe you meant resize? Isn't the X20 the latest chip from Mediatek? Note 3 camera ? IMX 135 ? killed by lack of sd. I was about paying for one until I found out they have decided to remove the sd card support.